It looks like Morgan State will soon have its first permanent head coach since Dec. 2017. It looks like Morgan State may be ready to name a head football coach after nearly 14 months without a permanent one. Former Michigan star and NFL running back Tyrone Wheatley is expected to be named the Morgan State football coach, according to FootballScoop.com. He’s never been a head coach, but he has been an assistant at the college and NFL levels. He was on Jim Harbaugh’s staff at Michigan in 2015, then spent a year as running backs coach for the Jacksonville Jaguars in 2017. Wheatley would be the fourth coach to lead the program since the kickoff of the 2014 season. Former Maryland assistant Lee Hull spent two seasons in East Baltimore, leading the program to an FCS playoff appearance in his rookie season as it was the benefactor of a five-way tie for the MEAC title. He took off for the NFL after the 2015 season, leading to Fred T. Farrier taking over heading into 2016. Farrier spent his first season as MSU’s interim coach in 2016 before being named head coach before the 2017 season. He was fired in December of that year. MSU named Ernest Jones the interim head football coach after Farrier was let go. He led the team to a 4-7 record in 2018, including a big win over A&T. 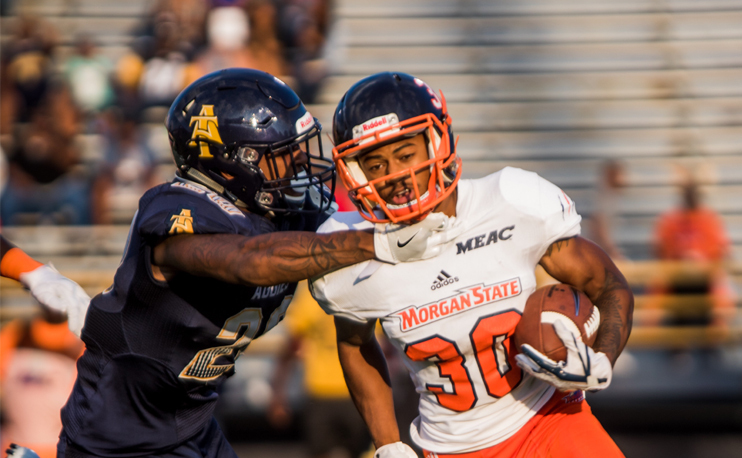 That win ended A&T’s 15-game winning streak and signaled that a new era might be dawning. Instead, Jones was let go officially in late January. This move will likely generate some headlines because of Wheatley’s name recognition, but with National Signing Day slated for Wednesday, he’ll have to hit the ground running. Additional players will be gravy for them at this point.